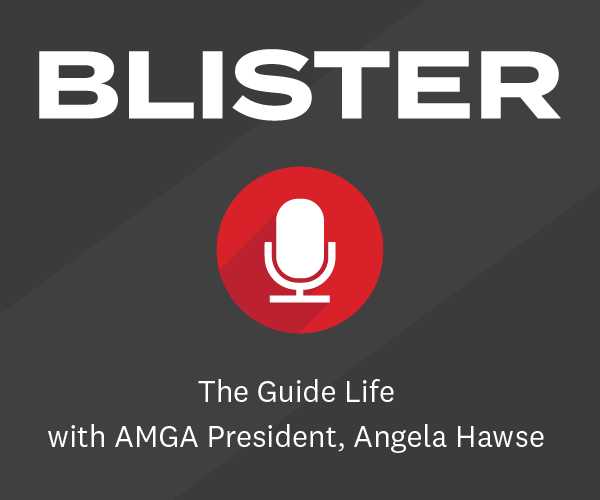 Here at Blister, we spend a good deal of time talking about weight. It’s always a buzzword in the ski industry, with almost every brand bragging about how their new gear as lighter than their old gear. And as result of all this focus on weight, one of the more valuable things we do is provide an accurate measured weight of nearly everything we review. But, as our editor-in-chief likes to point out, lighter isn’t always better, and plenty of great products (particularly skis) have been dumbed down into too-light, too-weak models. 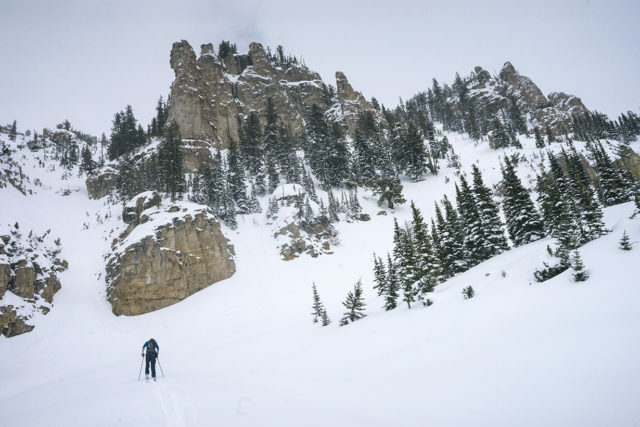 But when it comes to backcountry skiing, the weight of your gear really matters — it plays a significant role in how far you can go, how long it takes you to do that, and how much fun you have on the way down. That said, there are several areas where you can choose to save weight (e.g., skis, boots, bindings, etc.). 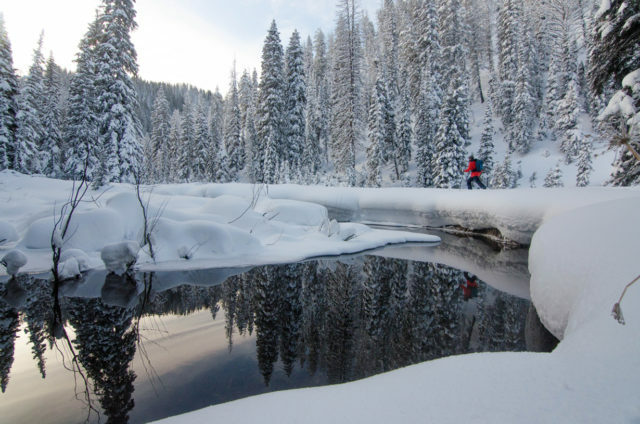 So should you be cutting weight in your skis and going with heavier boots? 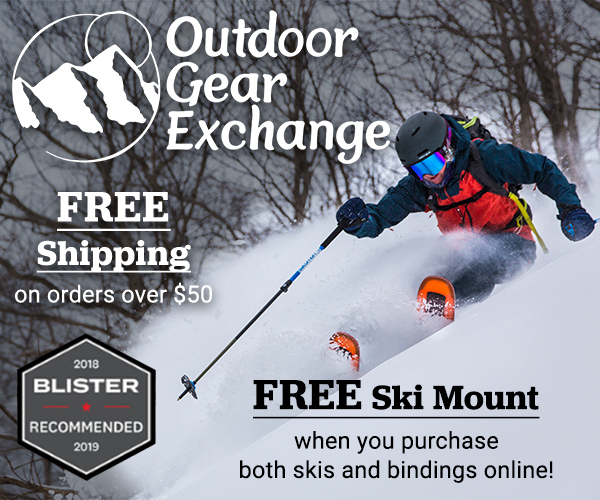 What about choosing an ultralight binding and a burlier ski? Or going with lightweight boots, a heavy binding, and moderately heavy ski? There are a lot of ways to approach this, so here I’m breaking down how I personlly like to look at weight when it comes to ski gear, and how that intersects with the overall performance of my setup. This is my personal take on the topic, and others’ (including our other reviewers’) opinions differ. So consider this more of a conversation starter, rather than a conclusive statement on the topic. We’ll soon be posting some of our other reviewers’ thoughts on this, and let us know in the Comments section at the bottom how you think about this. 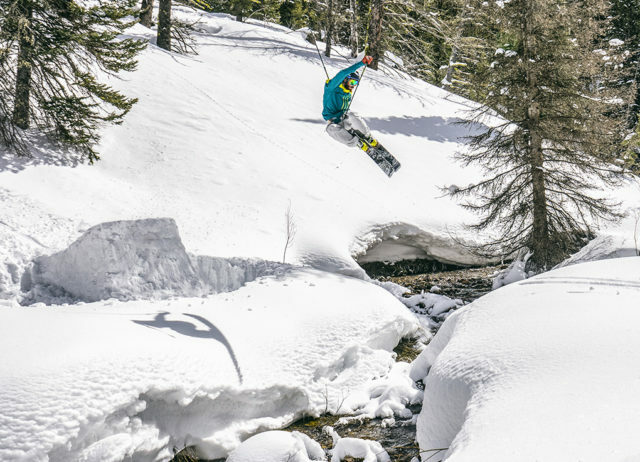 In his intro to the first ever Blister Buyer’s Guide, Jonathan Ellsworth emphasized the concept of “knowing yourself.” And the more gear advice I give, the more valuable this mantra becomes. If you’re not honest with yourself about your priorities and preferences as a skier, the most expensive gear in the world won’t save you / let you have any more fun, and our reviews will be much less useful to you. So examine your preferences, think of products you’ve liked, and try to figure out why that was. Then think about gear choices that haven’t meshed with your style, and try to determine why they let you down. Finally, lay out your objectives as a skier. 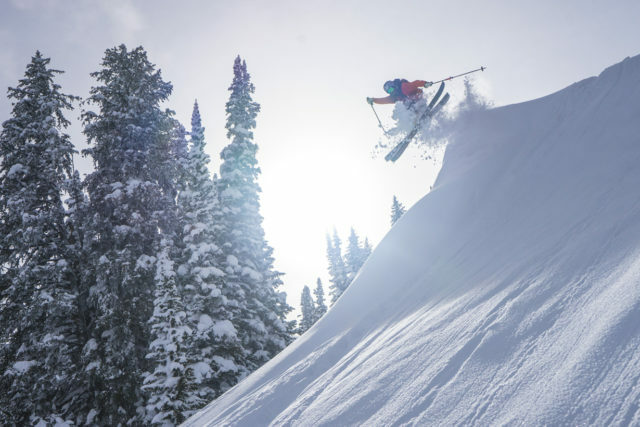 What do you want the highlights of your ski season to be? Only once you have figured out who you are and what you value can you start to narrow down the ever-growing field of skis, boots, and bindings. That said, here’s how I personally prioritize weight on my backcountry setups, based on what I want to get out of them and how I ski. I’ve also included a few guiding principles I use when it comes to the weight-to-performance ratio for ski gear. Skis generally sacrifice downhill performance as they get lighter, and it’s a fairly linear relationship in most cases. There are a few exceptions, but generally, the lighter your skis are, the less fun you’re going to have in difficult / variable snow, but the more fun you’re going to have on the skin track. In my experience, a heavier ski often makes a bigger difference in downhill performance than a heavier boot, so I prefer to save weight on my boots and use those weight savings to justify having slightly heavier skis. A great skier can get away with super light skis, but for many of us, those super light skis can get really challenging to ski if the snow is anything less than perfect. Boots are a more complicated topic since the lighter AT boots (less than ~1200-1300 g per boot) generally have bigger ranges of motion and often have tech fittings that have been moved closer to the toe to offer a more optimized pivot point. Because of that, by jumping from a ~1500-g boot to, say, an 1100-g boot, you gain a lot of uphill performance. And from my experience with light boots like the Salomon S/Lab X-Alp, I’d say that you lose less downhill performance by dropping ~400 grams in your boots than you would by dropping that same 400 grams of weight in your skis (more on that below). But again, your mileage may vary. Bindings are the most complicated of all, and we won’t dive into all of their intricacies here. Generally though, the heavier you go, the better downhill performance you get, and you often get more reliable release. For example, the fairly heavy Salomon / Atomic Shift offers TUV-certified release and feels like an alpine binding on the way down. On the other hand, very light touring bindings like the Marker Alpinist or Dynafit TLT Speed are not certified for consistent release and feel harsher and less powerful on the downhill. That said, I’ve personally found that the difference in downhill performance between bindings is much more difficult to determine than it is to determine with boots or skis, particularly when the snow is soft and forgiving. This piece was prompted by some experimenting that I’ve been doing as I try to figure out what I want for my big-day ski-mountaineering setup. That presents a specific set of criteria, so if you’re looking to get a touring setup for, say, skiing huge, deep lines in Alaska, your priorities will obviously be a bit different. For me, the MTN Explore 95 is the most challenging to ski and the least stable, no matter the conditions or the boot. I skied it in 3 inches of fresh with the Hawx Ultra XTD 120 and felt like I’d forgotten how to ski. The ski felt similar when I was skiing it in the X-Alp. The MTN Explore 95 is so light that I found myself having to ski it very centered, and make consistent, powerful turns to keep it tracking. When I tried to drive the MTN Explore 95 from a more forward stance I found that the tips were deflecting so much that I constantly felt like I was about to go over the bars. Despite being a very good ski on the downhill for its weight, the MTN Explore 95 was by far the limiting factor in my equation. But, it’s also a dream to tour on. The Bent Chetler 100 was a blast with either the XTD 120 or the X-Alp, and I don’t notice that much of a difference in performance between those two boots with this ski. Sure, the XTD 120 has a little more ankle support, and is a bit more powerful, but it also fits me a touch better, so I think much of that comes from fit, not the weight difference. Cy Whitling on the Icelantic Nomad 105 Lite, G3 Ion 12, and Roxa R3 130 T.I. Some of my experience with these boots also might come down to skiing stance / style — I ski with more of a centered stance, so I don’t end up flexing as deep into my boots as some folks do, and lower in the flex is where boots like the X-Alp tend to show their weakness / lack of support. Instead, I’m more aware of lateral stability and the first ~1/3 of a boot’s forward flex. If you tend to drive the front of your skis really hard and flex deep into your boots, there’s a good chance you’ll have a different opinion here. My most surprising takeaway from this testing was how much fun the Bent Chetler 100 and X-Alp combo was. I skied this combo inbounds on a firm day, and it only took a half a lap for me to feel very confident on it. The S/Lab can push the Bent Chetler 100 hard on edge in chop or on groomers, and the whole setup feels very composed and damp for its weight. I was spinning off cat tracks by my second lap on this combo — not what I expected to be doing in an 1100-g touring boot. I’ve written a bunch about the Bent Chetler 120 / Shift combo, and I’ve been skiing it a lot with both the Hawx Ultra XTD 120 and the regular Hawx Ultra 130 with CAST tech-toe fittings. I don’t notice that much of a difference between those two boots on this ski. The BC 120 is light enough that, with either boot, I find the limits of the ski before I find the limit of the boot. But the XTD is better on the up, so I’ll continue to stick with that combination when using the BC 120. My biggest takeaway from those days of testing? Cut weight in your boots, not your skis! I was initially planning on skiing the MTN Explore 95 a bunch this year. Now, I’m not so sure. The Bent Chetler 100 is so much more damp and predictable in all conditions, and it’s much easier to drive. Even with a powerful boot like the XTD 120 that I ski inbounds a fair amount, I found the MTN Explore 95 to be a handful. 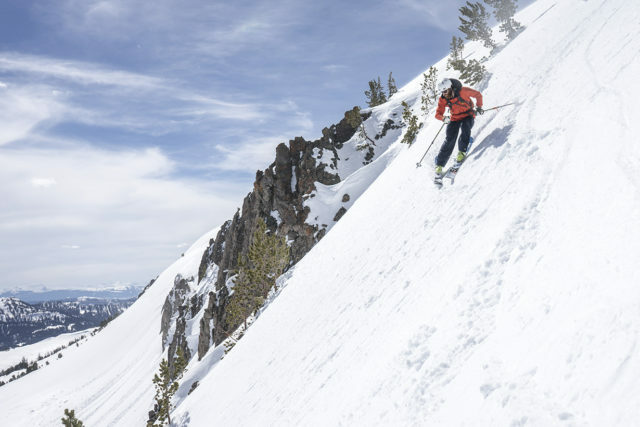 And even with the S/Lab, which some have dubbed “an ice climbing boot with tech fittings,” the BC 100 still felt like a predictable and powerful ski — even in challenging conditions. When I’m staring into the gut of something consequential, I would personally want to be on the Bent Chetler 100, rather than the MTN Explore 95. Another thing to consider is that the Bent Chetler 100 tires me out more on the climb than the MTN Explore 95. But I think the MTN Explore 95 takes the same amount of energy out of me, it just waits until the way down, since it requires more input to keep it tracking. I don’t love that. If I’m trying to figure out the equation of how much energy I have and whether an objective is attainable in a certain time window, I’d rather do the slightly more tiring part first (on the way up). It takes me a lot longer to ski consequential terrain on a lighter setup vs. a heavier one, and I’d prefer to spend a bit more time hauling up a heavier ski in relative safety on a skin track, rather than spend more time in a consequential line because my setup is challenging to ski. That’s how I’ve been thinking about this setup, particularly because it’s what I’d be using for technical lines. Finally, the difference between the S/Lab X-Alp and the Hawx XTD 120 on the way up was much bigger than the difference between the MTN Explore 95 and the Bent Chetler 100. The X-Alp is not just lighter, it walks a lot better, and is much better when scrambling in technical terrain. So, how would I apply this knowledge in practical situations? My big-day setup this year is going to be the Atomic Bent Chetler 100 with the Fritschi Vipec Evo 12 and the Salomon S/Lab X-Alp. Honestly, I could even use it as a travel setup too, where it would serve some time inbounds. I think it skis as well as it goes uphill, and it goes uphill very well. More broadly: Don’t be afraid to put tech bindings on heavier, inbounds-oriented skis. It’s a blast. Over the last few years, I’ve put tech bindings on the Revision Subtraction, K2 Shreditor 112, Sego Big Horn 106, and now, the Atomic Bent Chetler 100. Each one of these setups has skied much better than any lighter, touring-specific ski I’ve ever been on, and does so at a palatable weight penalty for me. It’s no surprise that some of our favorite touring skis (e.g., 4FRNT Raven) are also pretty heavy compared to other touring skis. Don’t be scared by a heavier touring ski — chances are, you’ll feel more confident when it comes time to rip skins. And to be clear, I’m not telling you to put tech bindings on your dedicated alpine setup — if you’re not using a ski to walk uphill a lot, you’d be better off on a burlier binding like the Shift. But for touring, having a heavier ski with lighter bindings (and boots) can be a ton of fun. But you don’t need to go full hog and get the heaviest everything. Bindings like the Dynafit Radical 2.0 and Fritschi Vipec Evo ski really well, and they’re plenty powerful to drive a heavier, inbounds-oriented ski. As a result, I don’t personally feel the need to jump up to a frame binding or Shift for performance reasons, but rather for safety and durability reasons. And I’ve also found that I personally don’t need the gnarliest, burliest touring boot out there. In my experience, a slightly heavier ski with a slightly lighter boot rewards me a lot more on the downhill than a lighter ski and a heavier boot. So consider giving your ankles a break and checking out a lighter boot with a higher range of motion. You’ll notice it on the up, and you might be surprised by how little you notice it on the down, particularly if you don’t tend to drive your skis super hard. Finally, and this is a little hypocritical, but don’t get too caught up in the weight weenie game. You don’t need to cut the handle off your toothbrush. Skiing is fun, whether you’re doing it on a 2100-g ski or a 1200-g ski. Don’t let a preoccupation with the weight of your gear take away from your experience. the “know thyself” advice is really the key to all of this. my buddy dave’s ability to scamper uphill without skins(short term, of course) is indicative of how active his feet and ankles are. he uses tiny, soft boots all the time. and he is a true fall line skier. plus, even his carving move is almost a jump turn. no need for a pile driver of a boot. i am something of a lumbering oaf. i have found that as i got into more powerfull boots, my skiing improved greatly. being a lumbering oaf, i am always suffering a weight penalty. the up is gonna be a grind anyway… comfort, fit and control go a long way towards keeping it fun. How much of a role do you think bindings played in this? Would the MTN Explore w/vipecs made these much more enjoyable in sub-par snow? Would the Bent Chetler 100’s with MTN bindings skied that much worse? I think bindings play a much smaller role in overall ski performance than they do in safety. So no, the Vipecs wouldn’t make the MTN Explore that much more capable, and the MTN wouldn’t make the BC 100 that much less (if any). For example: The BC 100 with MTN bindings would still be more capable feeling underfoot than the MTN Explore with Alpine bindings. What that swap would to is make me ski much more carefully on the MTN BC 100 combo since I know they don’t have as consistent of a release pattern ans the Vipec or an inbounds binder. So I’d ski a lot slower, not because the binding doesn’t feel great, but because I know if I screw up there’s a decent chance it won’t come off when I need it to. That all make sense? And again, this is just all based on my personal priorities. Plenty of people ski big stuff on tiny bindings with the toes locked. I’m just a wuss with bad health insurance, so I don’t take that risk. Great article and subject to discuss! When it comes to boots I find that the forward and lateral flex isn’t too bad when going lightweight. But when you get to the size 29-30 shells that I use you tend to get quite a bit of twisting flex in the lower shell. Obviously this gets worse with wider skis, on 120 mm wide skis it is really noticeable. This also seems to weaken the plastic over time. My semi-light boots (Salomon MTN Lab, Dynafit Mercury, etc) lasted about 40 days each, after which they were too soft. My even lighter boots have been used pretty much just for touring on very light setups so seem to hold up better. Is this an issue any of you guys have experienced? A binding like the Fritschi Tecton solves most of this, with good connection to the boot at both ends I don’t really have any issues at all. Having skied superlight bindings quite a bit lately I really like them, and don’t think they give much up compared to a midweight binding. Really to get noticeably better skiability I think you gotta go all the way to a binding with either a toe-piece that dampens the ride (Radical2, Vipec) and/or get an alpine-like heel (Tecton, Kingpin, TR2). On the boot front, interesting! I ski much smaller boots (26.5’s) so I haven’t really noticed that issue. Wouldn’t be surprised at all though. As those shells get bigger it makes sense that the forces on the same thickness of plastic get stronger. On the binding front, I totally agree. Personally I don’t really see a need for most of the mid range bindings (Old Radicals, G3 ION, MTN with brakes, etc) just because they’re not that safe, and they don’t really ski that much better than the lightweight stuff. And that’s reflected by the bindings I talk about in this piece. I totally see a place for the simple, bombproof stuff like the MTN, or the light bindings you mentioned, as well as something a bit safer, a bit heavier, with a bit better ride quality like the Vipec, and then something like the Shift that is as safe as an alpine binding. But if you’re going to weight more than an MTN, I feel like you need to be a lot safer, and have a lot better ride quality, and plenty of bindings don’t have that. Which setup would you prefer personally? Can you give any pointers on which kind of skier would prefer one setup over another? I realize that this also comes down to personal preference (up vs down), but do you think that going lighter would sacrifice too much of the downhill performance of the setup? One of my favorite things to do in the backcountry is getting into the air. I like finding new cliffs to hit, and I like building booters. The BC 120, Shift, XTD 120 is the best setup I’ve ever skied with that in mind. Two reasons: On big compressive landings, I do notice boots a lot more, lighter boots have a tendency to not support my ankles as well on big landings, which is scary since I sprain my ankles a lot. Secondly, hucking and spinning is a perfect match for Shift. When I’m hitting a new cliff, or trying a new trick, I want alpine releasability and elasticity. Shift and Cast are the only options that give me that. So for me personally, I’d never give up Shift, and the XTD 120 on this particular ski. But I think plenty of folks would love the setup you describe, especially if the BC 120 is the wider pow option in a two-ski touring quiver. If you’re not planning on hucking your meat, and you just want a light, fun setup for those deep days, the BC 120, X-Alp, and Vipec would be so much fun. I’m getting excited just thinking about it. As long as you’re predominatly skiing consistent snow (pow mostly, but this would be a fine, if overkill corn setup) the X-Alp should drive the BC 120 just fine, and that setup would be a dream on the uphills. So no, it wouldn’t sacrifice too much of the downhill performance, for a lot of folks. However, the BC 120 with Shift and XTD 120’s can totally double as an inbounds setup if you need it to. The lighter version, probably not so much. For example, I’ve seen plenty of folks that have something like a DPS Lotus 138, with super light bindings (no brakes) and an Atomic Backland boot as their stupid deep day touring setup. For really deep backcountry days, especially if you’re skiing lower angle stuff, big fat pow skis, and tiny little boots and bindings make a lot of sense. I am one of those people who keep my skis very close to the snow, and ski at moderate steeds. Inbounds, if it’s deep enough to want a 120mm ski, it’s going to be soft too. Tecton skis quite well and seems pretty safe. If it’s hard and rutted I wouldn’t be on a 120mm ski. Touring, Tecton is only a bit heavier than Vipec, and tours efficiently. So it would do great for mid-winter, high risk days were you are surfing low angle pow. If it’s a huge vertical day or multi day hut traverse in the alps, I’d want a narrower ski anyway. That would be a rad setup. Nice! Most of my touring is done on pretty good snow. Otherwise I’ll just stay in the resort, lapping runs with a lift. I’m looking for a setup that is capable of a few drops with a powder landing (max 3m, I’ll rather use other setups for drops bigger than that), jibbing rocks and tree stumps and just having a good time in pow. I reckon that the Vipecs would still be pretty well suited for this? Would the tiny MTN be a tad too weak? Actually pretty stoked on the idea of having a small binding. The problem is, I’d also like to use the setup for touring (very) soft spring slush. Should I just go narrower with the ski/get the shift/just go for two different setups. Interesting and valuable. As has been said, the “know thyself” advice is key. Not sure I agree on boots being where to cut weight. I’ve been alpine skiing for 65 years through every iteration and development of all skiing components and the biggest deterrent to an enjoyable outing of inbound or touring seems to focus on the boots. I don’t know how much time I’ve lost waiting for someone to adjust, undo, redo, or otherwise fuss with their boots but it’s been a lot. Getting boots that fit should be a lot easier now than in past years, yet why is it I still wait for the fussing? I recently upgraded my touring setup with G3 Findr 102s with their Zed bindings (from K2 Coomback 102s with Dynafit ST radicals) but I’m keeping my Dalbello Virus lite as they feel like slippers on my feet fully snugged up, and only require flipping the levers to transition. No buckles, straps, or tongues to mess with and they ski like the best Alpine boots I’ve had. They do weigh 3200 grams but are worth the extra in comfort and fuss-free performance. Just bought the BC 100. Want to use it 75% touring and 25% inbounds. Not sure if I should mount Tecton (I’m a big fan of the Vipecs currently on my BD Helio 105), Vipec or something with less weight (ATK Freeraider?). Any suggestions? I’d go Tecton or Vipec there for sure. If you’re going to be using a ski like that inbounds I personally really want a little “safer” / predictably releasing binding. But plenty of folks ski basic tech bindings inbounds and still have both ACL’s so I feel like that’s more of a personal “how much do you want to risk it” call. How do you think the Bent Chetler 100 compares to the Fischer Ranger 98ti? Would you say the setup Ranger 98 + vipec + X Alps is quite similar to your Bent Chetler 100 + vipex + X Alps? Also considering skiing inbounds 2-3 times a year. Will buy Vipecs – love the handling a bit better than on the Tectons. I once cut the handle off a toothbrush. Futile. Impossible to clean your teeth as you have nothing for leaverage/control. Much more sense to drill holes in the handle. Very helpful and thought provoking article. For a 95% fresh snow touring set up I am veering towards BC 100 in 180 with very light bindings such as Marker Alpinists. I am 60 years old, and ski in a manner befitting that. 2 lots of my current skis have Dynafit Superlites and while not as plush or confidence inspiring as Beast 14’s, at least I can lug them uphill. Though 12 stones in weight (168lbs) I think the 188 would be a pain for me on technical uphill and intimidating downhill.